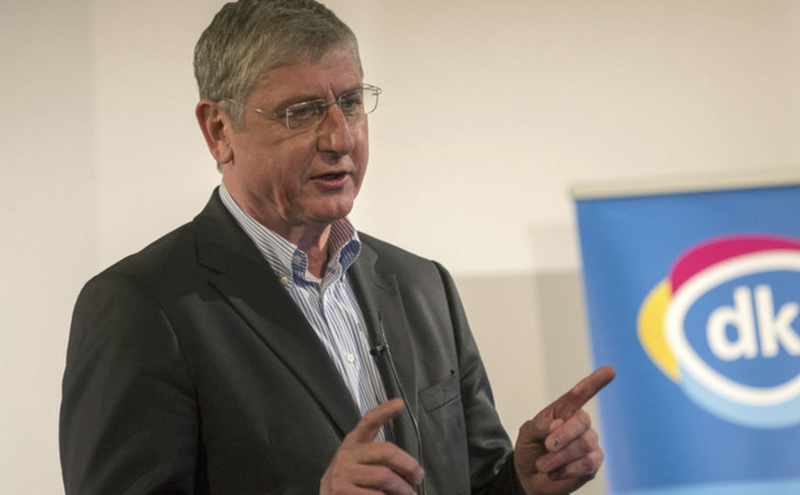 Democratic Coalition chairman Ferenc Gyurcsány announced at a press conference on Tuesday that his party was formally requesting copies of all the hand-written documents prepared at polling stations so that they can be compared with official election results posted to the internet. The former socialist prime minister also demanded a recount of all votes cast at polling stations where no opposition delegate was present to monitor voting in Sunday’s general election. He said he wanted to determine how many invalid votes, according to the documents in question, were cast for which party lists. He said it was also necessary to inspect whether the documents mention any unnatural disparities between votes cast for individual candidates and party lists. Gyurcsány asserted that there is no credible explanation for why the electoral information computer system crashed on Sunday. Nor were there any assurances that steps taken to correct the situation did not affect the data released to the public. He further pointed out that because of the system crash, it was not possible for incapacitated voters to order a mobile polling station via the internet, as a result of which many were excluded from participating. He said it was suspect that in many polling districts members of the vote-counting committees were not allowed to be present when the voting results were entered electronically into the system. Furthermore, he called “unacceptable” the fact that no information about election results was made available for three and one half hours after the close of polls, and this had created the possibility of manipulating the electoral result in individual polling stations. Gyurcsány said there was no explanation why according to official information voter participation was lower at the close of polls than it was half an hour earlier. As a concrete example, he displayed the official results of a polling station in Újpest where 244 votes were cast for Democratic Coalition candidate László Varju but not for the DK party list. Nor were any votes cast for DK’s party list in Gyömrő in Pest county where the DK candidate, Andrea Nyeste, received 73 votes. “This is not just irrational and unnatural but raises the suspicion that somebody deliberately cheated when tabulating votes for party lists,” said the former prime minister of 2004-2009, adding that such anomalies had not occurred since 1990. In light of these anomalies, Gyurcsány called “worthy of consideration” Country for All Movement founder Márton Gulyás’s suggestion that opposition politicians refuse to take up their parliamentary mandates. However, he emphasized that such an action would only be possible if the entire political opposition, Jobbik included, participated, pointing out that previously his party had withdrawn from parliament without having any serious effect.